I thought our event coordinator had made a typo when I saw the email telling us we were going to Providence Cafe, thinking she actually meant The Providore on Elizabeth Street! Surprisingly, this is one cafe that had well and truly flown under my radar. 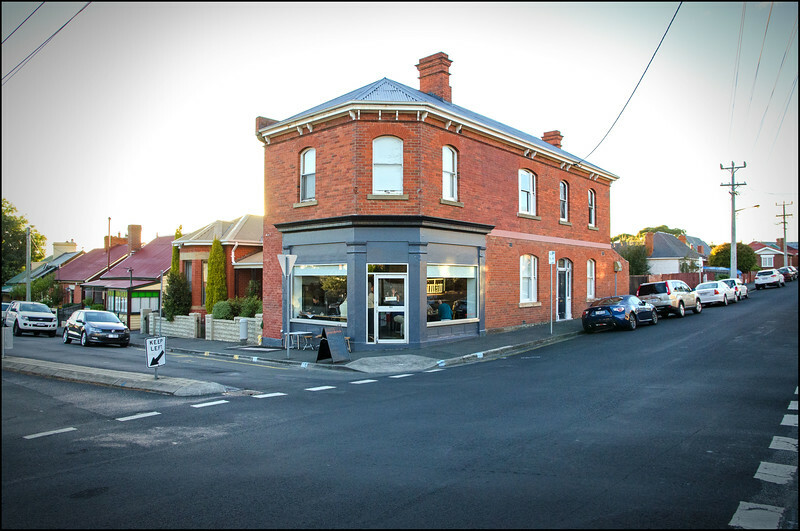 Providence Cafe – 42 Newdegate St. I thought one of my fellow online foodies summed up Providence quite well in only a single word, describing it as ‘uncomplicated’. 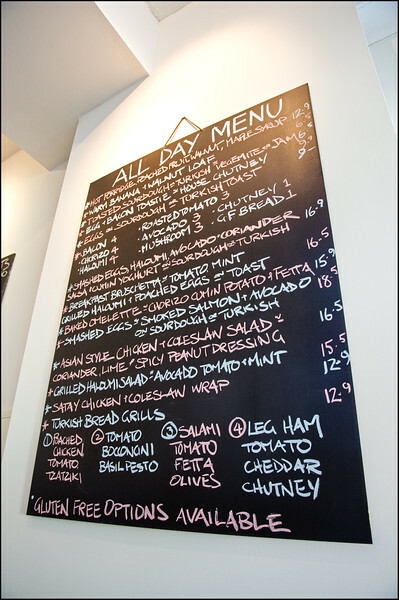 There’s an extensive ‘All Day’ menu, with pricing very reasonable across the board. 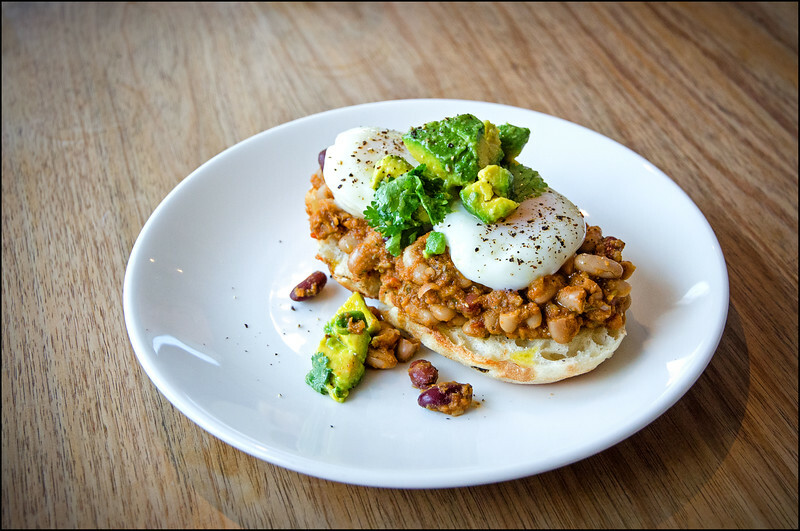 The dishes on offer couldn’t be said to be pushing the envelope, but there’s enough innovation to keep things interesting and to entice you back another day. The specials board had a few interesting numbers on there as well, one of which was the first dish below. Most importantly, what they do offer, they cook exceptionally well! To top it all off, they also do a wicked coffee! 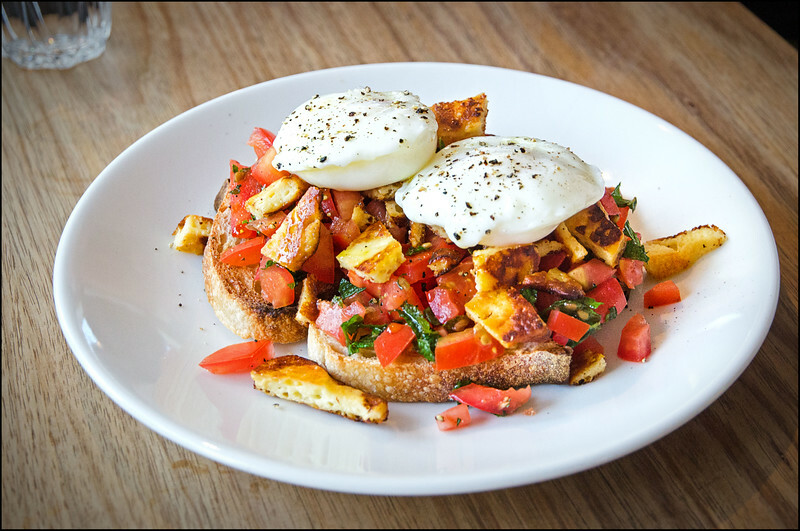 If it’s a delicious, honest and uncomplicated breakfast that you’re looking for then Providence will suit you to a tee! It’s one of those small suburban venues that know their clientèle and play to them flawlessly. Sure, they aren’t as cutting edge as Pilgrim, Berta or R4aP, but what they do serve up can’t be faulted and I’d be proud to have them as my local! By all accounts they also go to significant lengths to cater to particular dietary requirements. So if that’s you, don’t feel bad about asking for the menu to be tweaked; in fact, they may even ask you first! On the liste de seau now. Google street view is only so good.